A murder victim had her throat slashed before being left to die in a pool of her own blood in a suburban street, according to horrified neighbours. 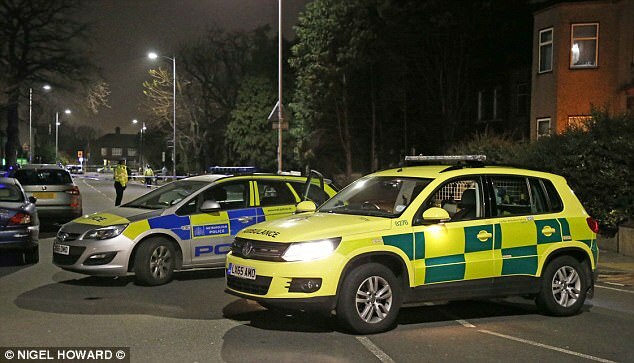 Police say the 44-year-old woman, who was wearing a pink coat, was pronounced dead at the scene opposite a nursery school in Ilford, east London, on Wednesday evening. Shocked local residents told how they heard screams and saw blood on the pavement where the woman lay. 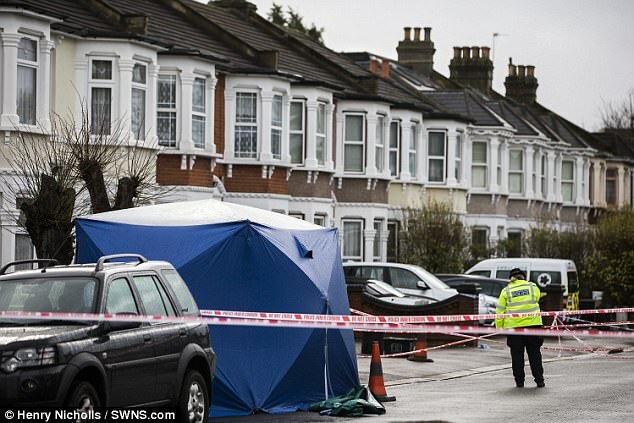 Part of the suburban street, where homes sell for around £500,000 remained cordoned off today, with a blue forensics tent erected on the pavement. 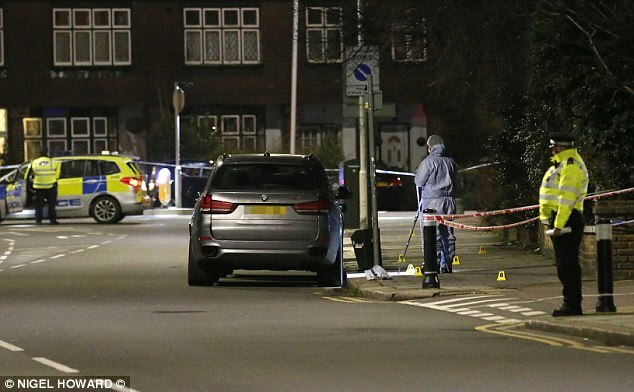 Local resident Abid Khan, 65, said he saw the woman lying on the pavement at about 7.15pm on Wednesday. 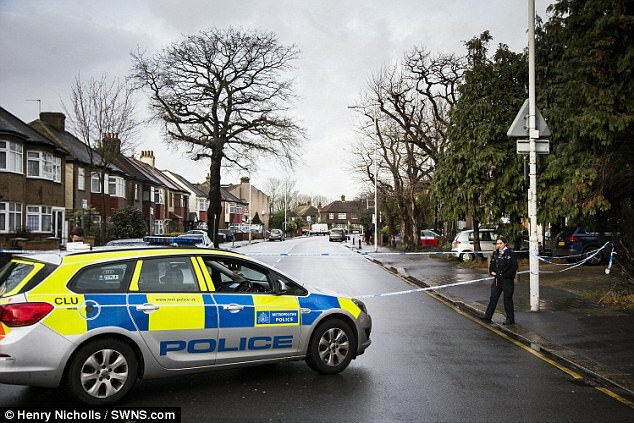 The grandfather-of-three said: 'She was lying on the floor, and the blood was pouring on the side of the road. There was a pool of blood on the floor. 'There were a lot of people standing around calling the police. The paramedics turned up and tried to resuscitate her. By that time she was dead. The pensioner said he believed the victim was from Eastern Europe. Fahad Khan, 35, who lives a few doors down, said: 'The incident happened just after 7pm. A woman screamed. I think she was Eastern European: Romanian or Polish. 'I saw the body. She had been cut from the neck - slashed across the neck. There was a lot of blood in the street. He said he saw two men and a women talking to police officers in the street, who he believes were relatives or friends of the victim. Mr Khan said: 'The woman was crying and screaming. She was in her 30s, she was a relative or a friend. Police have set up a crime scene just yards from a children's nursery and a nearby high school. 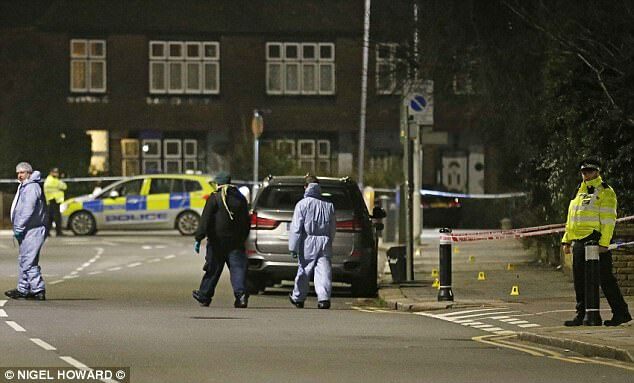 A Met Police spokesman said: 'Police were called by London Ambulance Service (LAS) to Norfolk Road, Ilford at 19:09hrs on Wednesday, 3 January following reports of an unresponsive woman in the street. The spokesman added: 'Next of kin have been notified but formal identification awaits. A post-mortem examination will be held in due course. 'Detectives from the Homicide and Major Crime Command investigate, led by Detective Chief Inspector Dave Whellams. 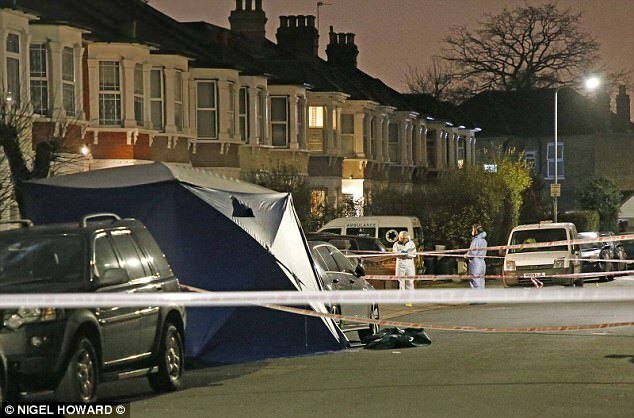 'In the early hours of Thursday, 4 January, a 45-year-old man was arrested by detectives at an address in Newham on suspicion of murder.